Yarn Type SALE 30% OFF! A 'crafted and playful' super chunky yarn and comes in a fabulous range of quirky, smudgy colours. This wool rich blend is ideal for beginner and experienced knitters. There are a number of easy knit leaflets for men, women, girls and boys and a learn to knit book, packed full of achievable designs. Kiko is machine washable and knits to all of Sirdar's Super Chunky Leaflets. 51% Wool, 49% Acrylic. Machine Washable/wool cycle. 20 easy to knit designs for men, women and girls from 4 years to adult using Sirdar Kiko Super Chunky. Contains easy accessories and trendy sweaters, ideal for learning to knit! Leaflet with designs for a Drop Stitch Snood, Moss Stitch Scarf, Cabled Bag and Bangle using Sirdar Kiko Super Chunky. 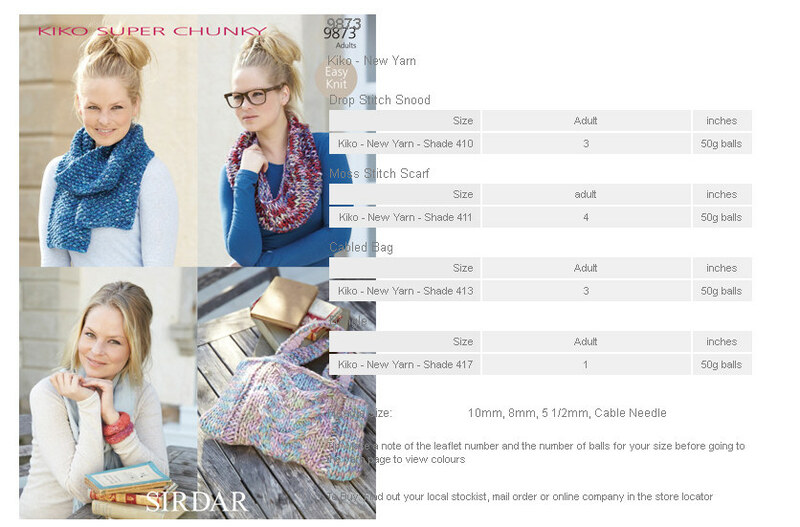 Leaflet with designs for a Round Neck Sweater and V Neck Sweater using Sirdar Kiko Super Chunky. 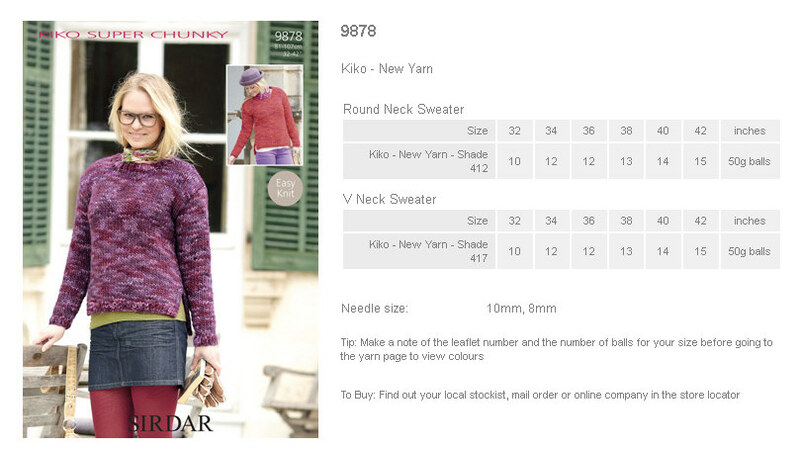 Leaflet with designs for Woman's Round and V Neck Cardigans using Sirdar Kiko Super Chunky. Leaflet with designs for a Sweater and Hooded Gilet using Sirdar Kiko Super Chunky. Leaflet with designs for Round and V Neck Sweaters using Sirdar Kiko Super Chunky. 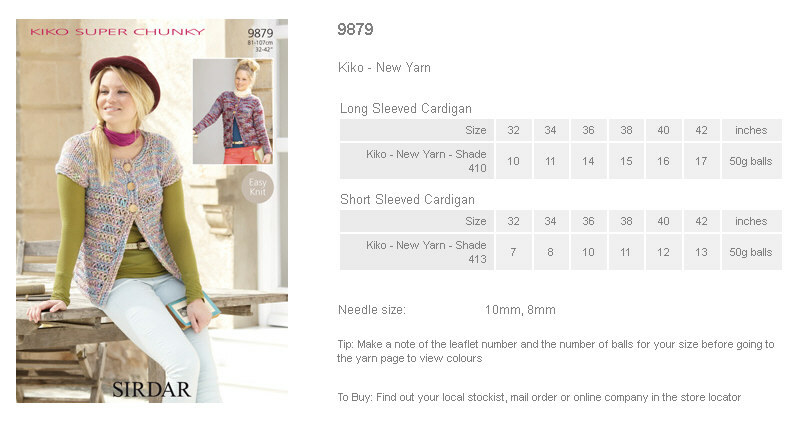 Leaflet with designs for Long and Short Sleeved Cardigans using Sirdar Kiko Super Chunky.